Colors have great effect on the way we feel, so pay attention when you are choosing the color combinations in your home. Even the smallest of details should be cheerful and fun if you care about your well-being. 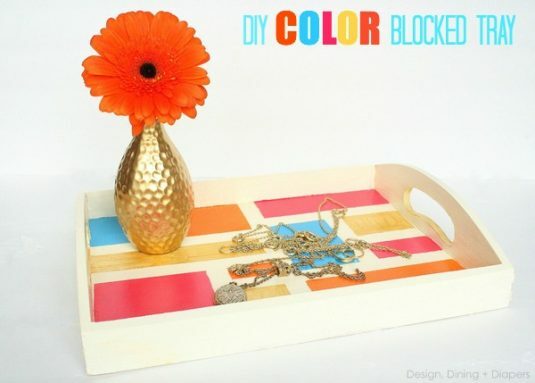 In this artcile I’m going to show you some Awesome DIY Colorful Crafts That Will Brighten Your Day, so check them out. They are great since you can do them all on your own and you are going to save lots of money. Plus, you can be proud that your crafty hands have made them and brag to the people around you. Scroll down through the photos and see the colorful decorations that will enliven your living area! Yes, you can even color the wax of the candles! 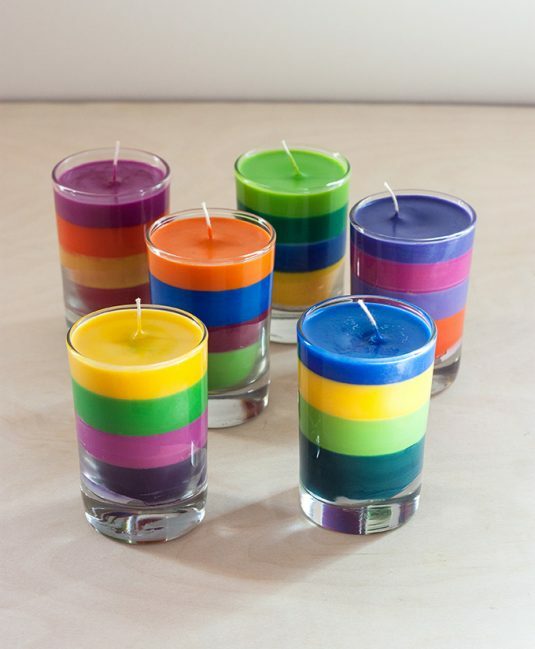 These adorable color block candles will catch your attention immediately and I’m sure that you would like to give them a try! What do you say about the color block trend? I think it’s so interesting and that will look great on the dull tray as well. It’s autumn and it’s the season of pumpkins. 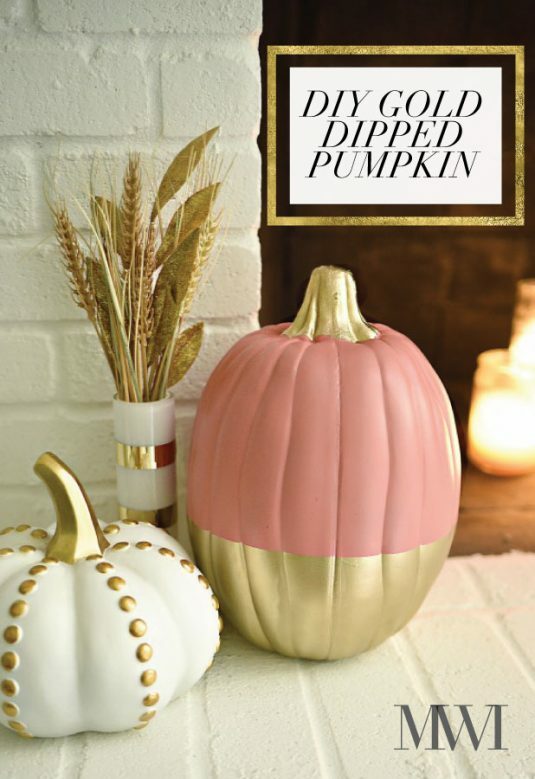 if you are bored of white and orange pumpkins, it’s about time you add some color to them and make some cool and unique designs. Color them in the colors you like the best and feel the colorful magic. Any piece of furniture can be decorated with colorful threads in no time. 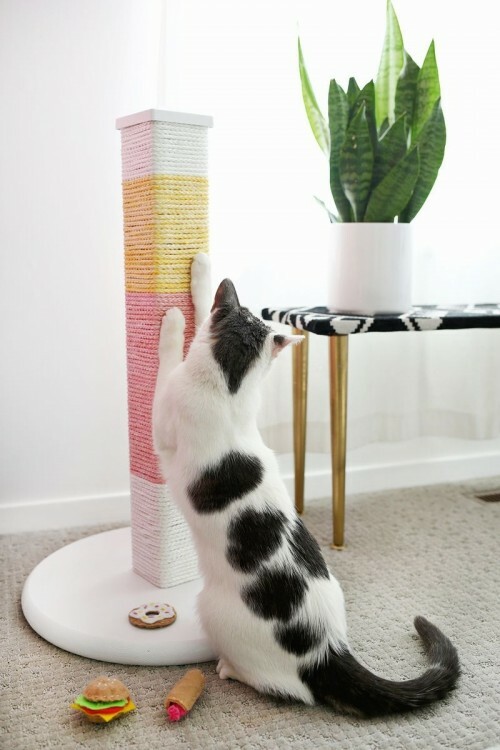 This DIY design is super easy and you don’t have to have any particular DIY skills in order to make it. You will have lots of fun while making this craft. You will need crayons and a hair dryer. 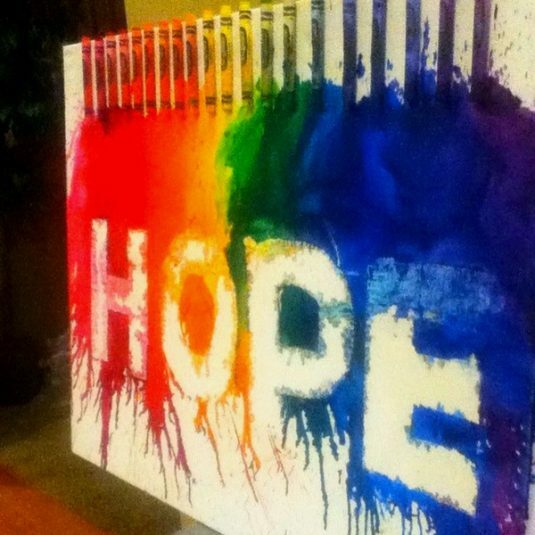 Get down to work and make an artistic piece that will make the ambiance in your home even more cheerful. 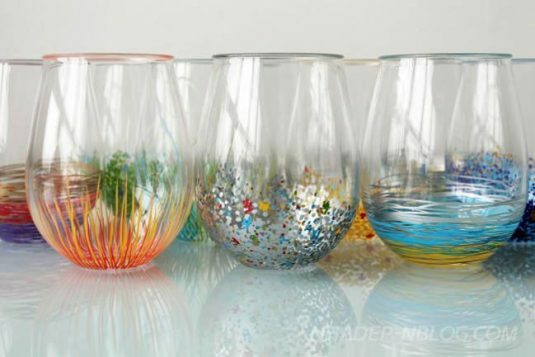 Update the look of the plain flower vases by using colors in as much various patterns as you can come up with. 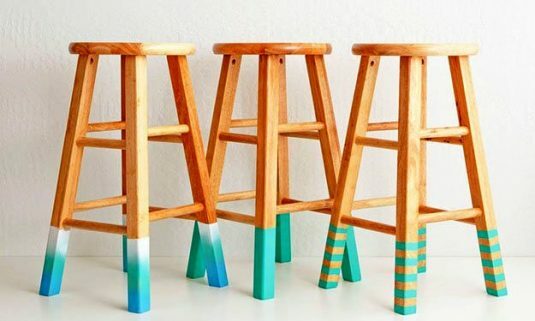 Have fun with the legs of the wooden stools by using colors. Colors can help you update the look of your old furniture and bring some excitement in your home. How do you like this idea? 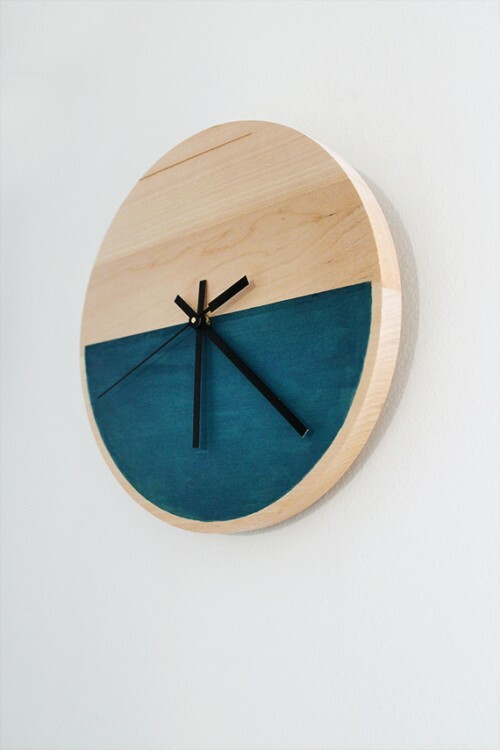 Would you like to make this stylish color block clock? Its simplicity is what grabs our attention. We have to admit that it looks simply amazing! 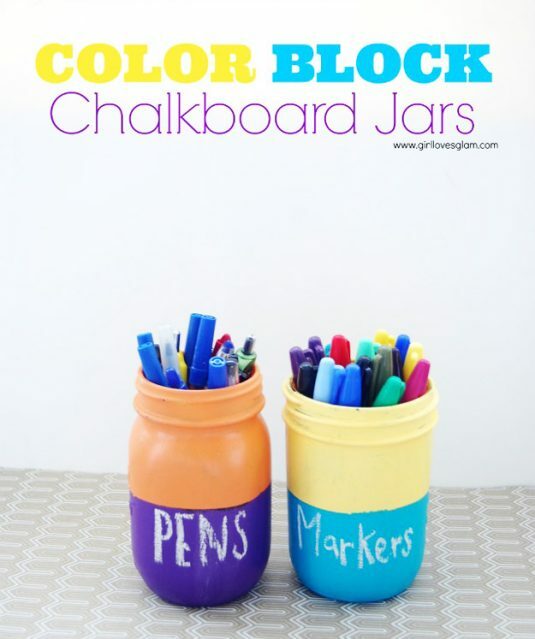 Do you use jars as pen and pencil holders? If yes, this craft is the next one on your TO-DO list. 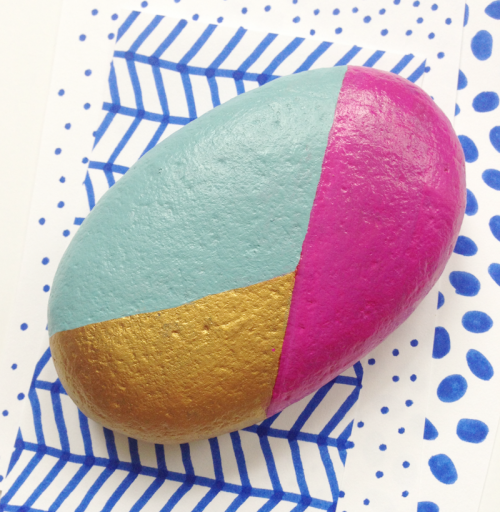 The color block pattern looks great on stones too! Get down to painting and you will get some stunning decorations for your home. 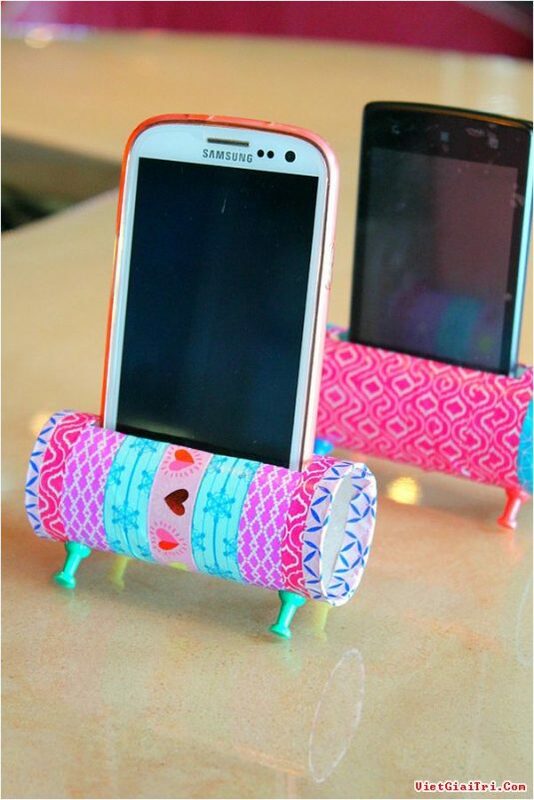 Turn the toilet paper rolls into fun phone holders by decorating them in colorful prints and patterns. 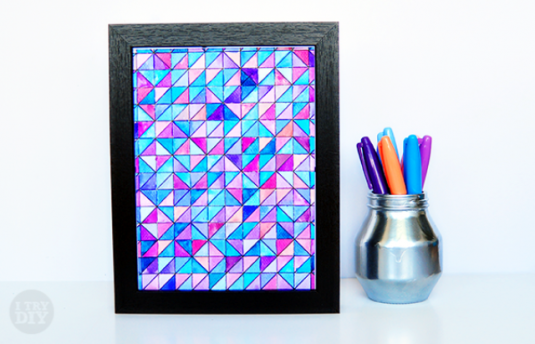 If you want to personalize your home decor just frame the colorful artistic piece that you have just colored. Aren’t these colors just marvelous? 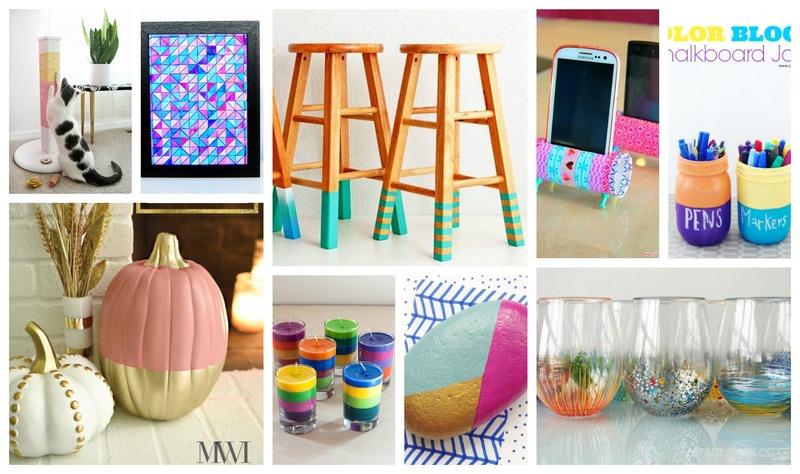 Pick a craft and add them to your home asap!